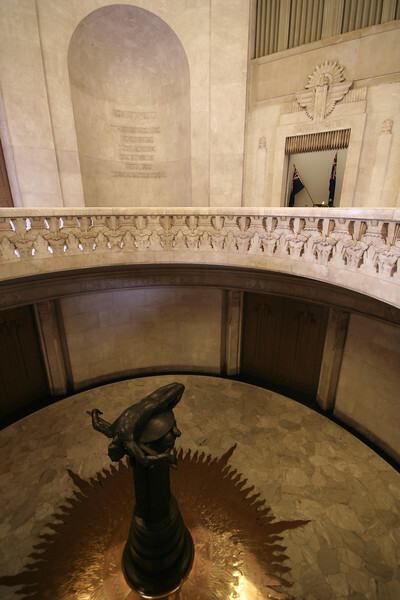 ANZAC War Memorial, Sydney. Interior view, facing the northeast. At top right is the vestibule housing the Eternal Flame. The Memorial's focal point is the monumental bronze figure by Rayner Hoff entitled "Sacrifice", shown at bottom left.